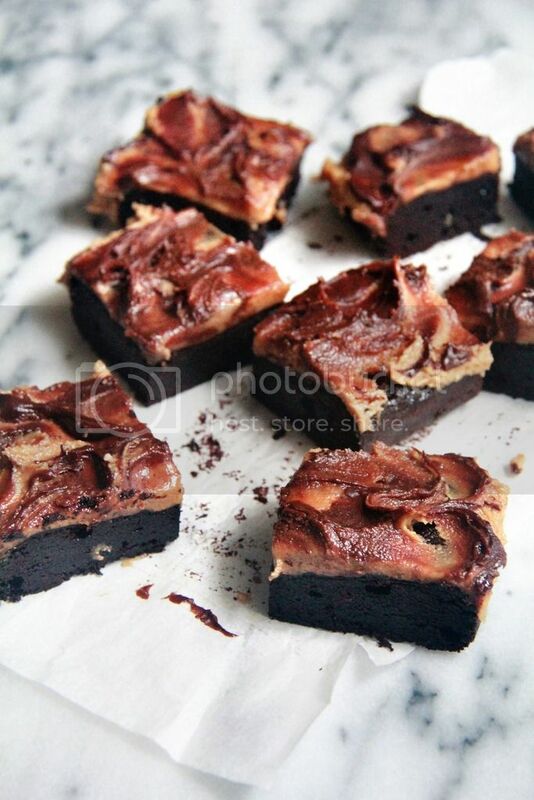 Crumbs and Cookies: brownies with biscoff-chocolate marble frosting. 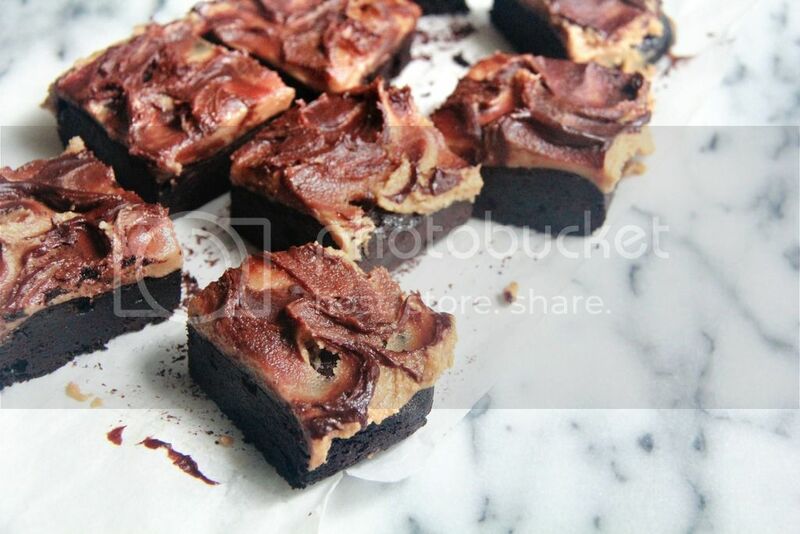 brownies with biscoff-chocolate marble frosting. I've never really thought to eat biscoff with anything other than white bread. Because seriously, does biscoff even need any embellishment? But I was curious as to what else would go well with the cookie butter so I decided to experiment with chocolate for starters. And I think we can all agree that there is no baked good that could be a better embodiment of chocolate than the darkest fudgiest brownie. 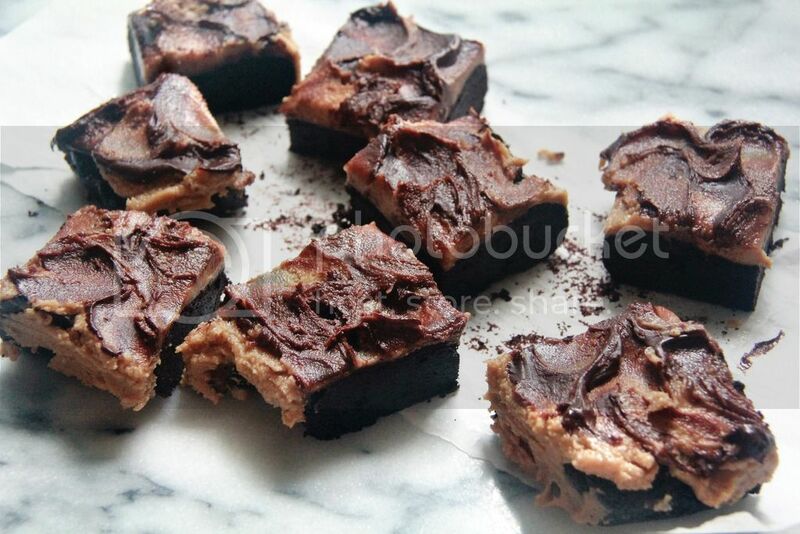 The biscoff stars in the brownie equation in the form of frosting thickly slathered on top. It's a very straightforward sort of frosting made by just beating together with the biscoff the basic ingredients of butter, sugar and perhaps a touch of milk - very similar to peanut butter frosting. And just like with the peanut butter version, the flavour of the biscoff is nowhere near lost and the frosting a comfortable level of sweetness. 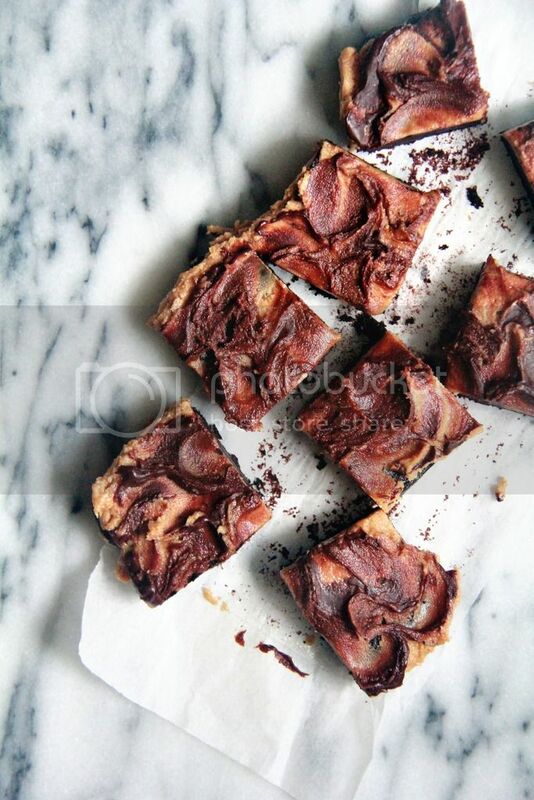 It's really rich as well so coupled with the brownie it's a helluva gratifying treat. I have a feeling that biscoff might go well with something fruity and refreshing so I'm going to rack my brains a bit for a cake recipe that fits the bill. And a biscoff cream cheese buttercream to go with? You bet. Beat the butter and biscoff spread together until combined. Add the icing sugar and beat until light and fluffy. Add milk or heavy cream as needed to adjust the consistency of the frosting. Spread the frosting evenly on the surface of the cooled brownie slab. Place small dots of chocolate on top of the frosting, spacing them about 1/2 inch apart. 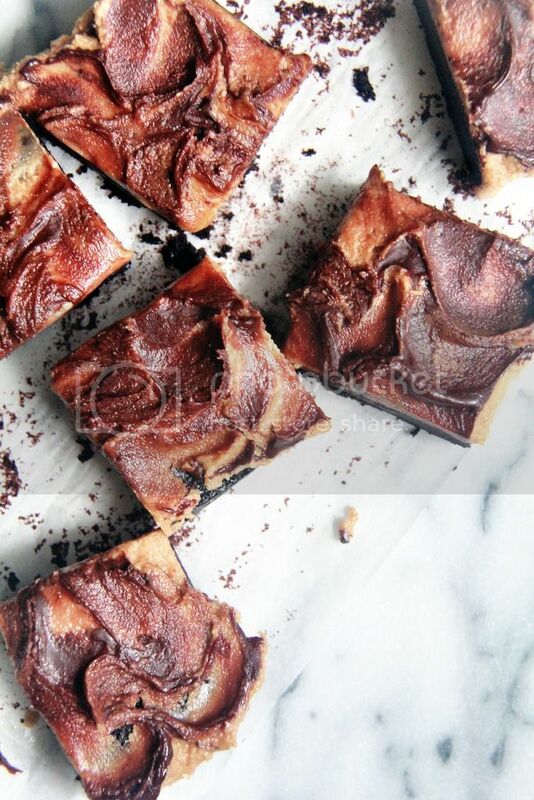 Use the back of a spoon to swirl the frosting and chocolate. Oh YUM! These look amazing. Love biscoff spread!